During Chinese New Year, a lot of people will "eat for luck"- they plan to eat special foods that, by tradition, are supposed to bring them good luck. Chinese like playing with symbols often homonyms. Food is auspicious with their names and the meaning behind it. As for us, we don't celebrate Lunar New Year in the grandest way. No fancy restaurant. No grand buffet. We always make it simple. For the Year of the Golden Tiger, we had some take-out dishes from Conti's Pastry Shop & Restaurant and Razon's of Guagua. Our comfort meals were simple but truly delicious and satisfying. Just for enjoyment, some of our food entrees and snacks hold a symbolic meaning. 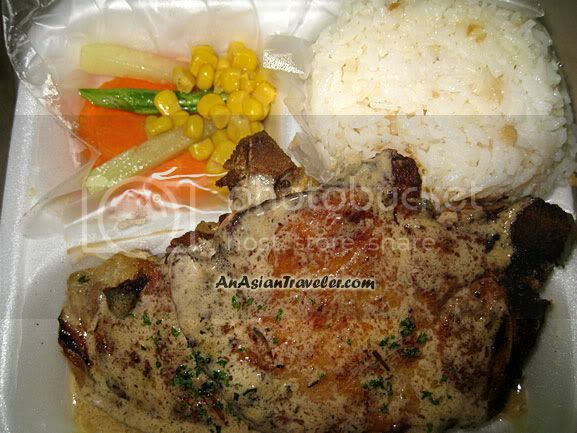 Grilled Pork Chops (Php 195 w/ garlic rice) → This set has two pieces herb-filled pork-chop grilled to a gourmet's delight, served with saffron mushroom risotto. Pork symbolize for strength, wealth and abundant blessing. 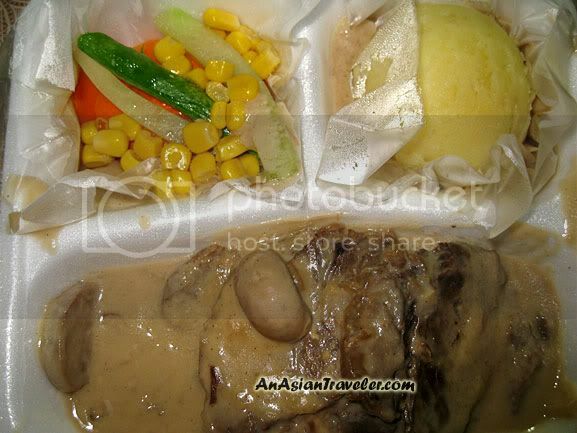 Roast Beef in Mushroom Sauce (Php 270.00) → Slices of beef in mushroom sauce, served with buttered vegetables and mashed potato. 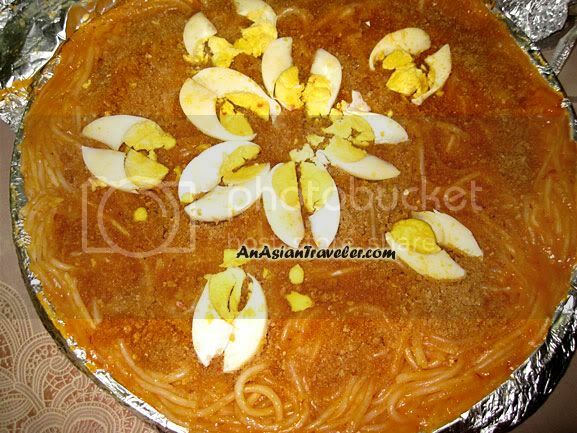 Pancit Luglog → A Filipino dish made of thick noodles smothered with a golden shrimp sauce or other flavored sauce topped with hard-boiled eggs. For added flavor serve with calamansi. (small citrus fruit). Noodles symbolize for long life. 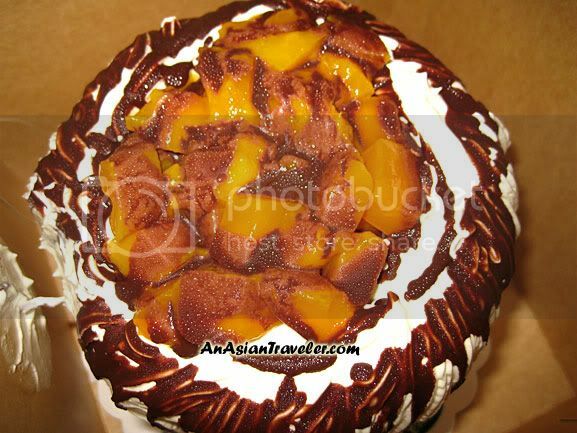 Mango Bravo Cake (Php 495.00) - A towering layer of chilled sponge cake covered with mango cream dripped with chocolate sauce and topped with mango chunks. 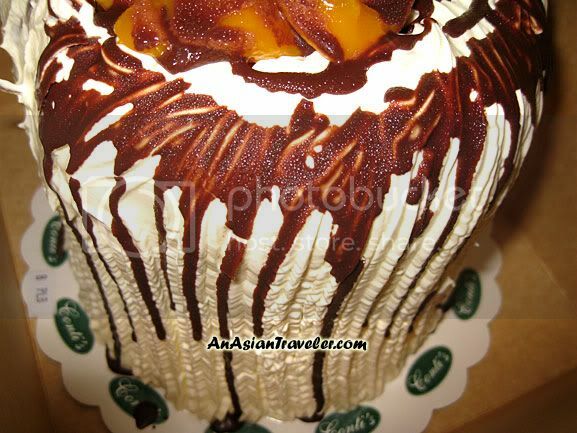 I love this cake, very delicate, fluffy and super delicious. But I'm not particularly fond of cream or icing. Since this is sweet, I guess this is for safety, good fortune and to sweeten one's upcoming year. Tikoy (sticky rice cake) or Nian Gao - It is considered good luck because it has the symbolism of increasing prosperity every year. This also symbolizes that the family will 'stick' together. Oranges for wealth, good fortune and gold. But of course, I love God above all things. 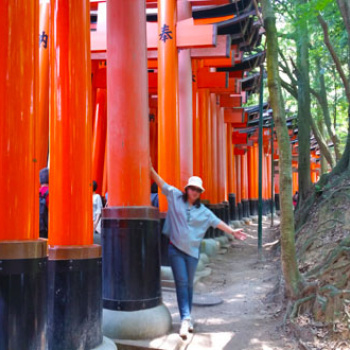 These are just some Chinese rituals or traditions we observe. I still believe hard work, ability and logical thinking coupled with prayers are the keys to success and to reap abundant blessings. Nian Gao fried with egg is the same style in M'sia,normally we add a little salt. wow great site, i have followed you. Sure friend my pleasure to had link each other. let me know if you have added me and i'll get back to you as soon as possible. Yummy! I also love palabok (and halo-halo) from Razon's. We usually stop over their resto in San Fernando(or is it Guagua) on our way to my sis' place in Balanga, Bat. Btw, are you from Guagua? 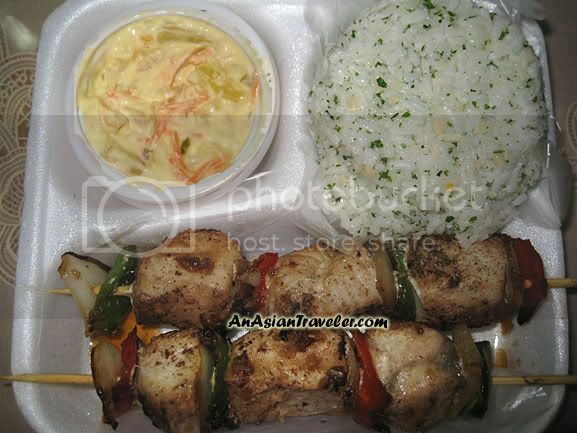 I'll have the fish kebabs and grilled pork chops please! And a doggie bag for the leftover. No, I'm not from Guagua.